What is that you say? 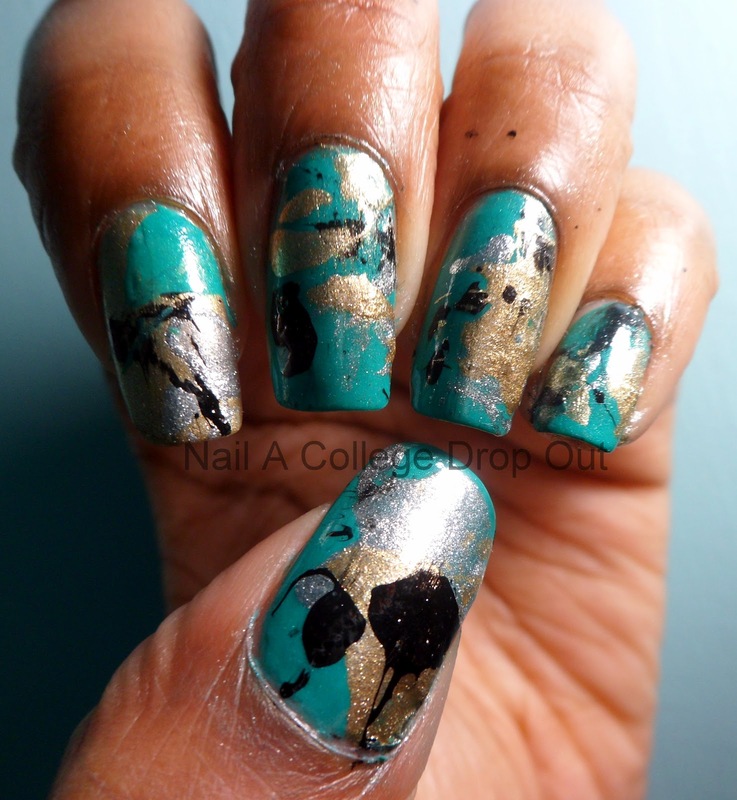 Another group nail adventure? Splatter? Yeah that is right my dear! Today is Splatterday! I started with a base of Sinful Colors Rise And Shine on all of my fingers except my index finger--Knocked Up Nails 18K Gold Crown(ing). 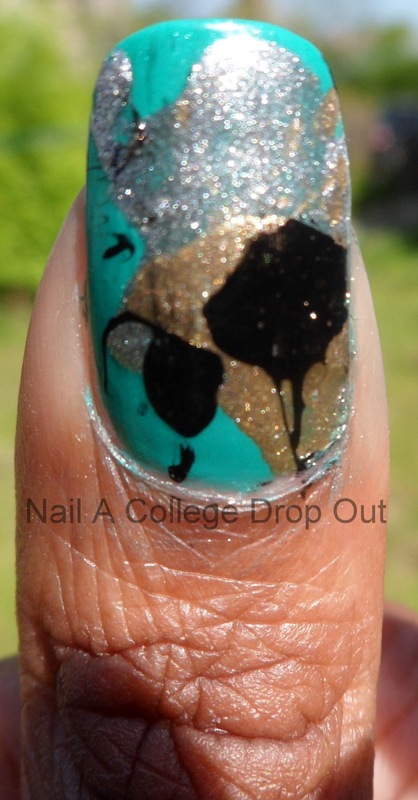 I then used a straw to splatter 18K Gold Crown(ing), Wet n Wild Wild Shine Black Creme, & Sally Hansen Xtreme Wear Celeb City. Surprised this mani isn't full of neon colors? I do own polish in other colors so I should use them right? Love all these colors together!!!! 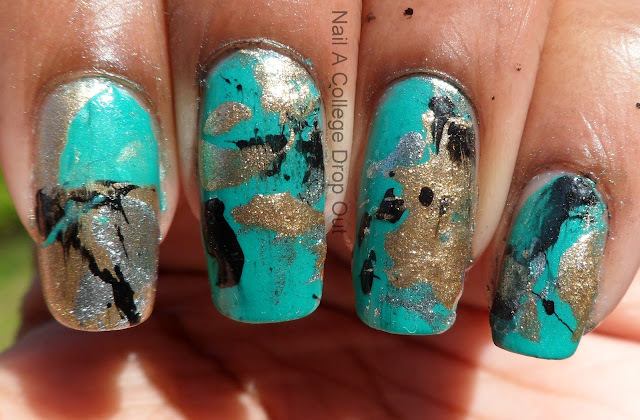 I love teal with metallic colors!